The bentwood box made of soft wood, and in a typical oval form, emerges upon a first listening as something to be seen in the context of "Silent night". Perhaps Karl Heinrich Waggerl instilled the additional meaning of this box. On the inside of the wooden body, there is a built-in musical box - often incorrectly described as a musical clock - that is wound up by a small knob on the base. The ingenious mechanism does not begin, however, simultaneously with the winding up - as an additional final step, a wire on the outer face has to be pulled, and only then is the chiming cylinder set in motion. On the chiming cylinder, which is approx. 5cm long, "Silent night, holy night", "O how joyfully" and other well-known melodies are fitted with countless pins. 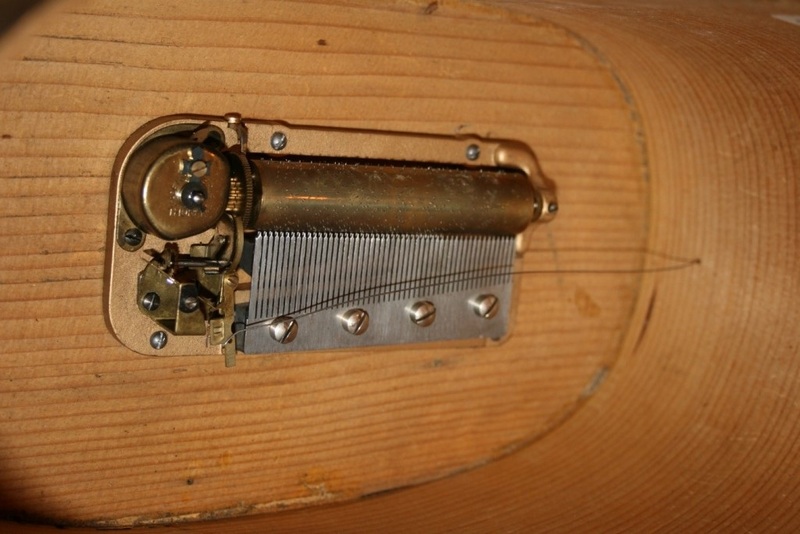 The music box comb fitted with four screws comprises over 15 comb teeth; this is the term for the individual metal comb teeth that are placed in a row from short to long. The external decoration of the bentwood box fits exactly with a rural tradition. Historically speaking, bentwood boxes were often a dowry of the bride; for this reason the motif of a wedding couple is well-established. 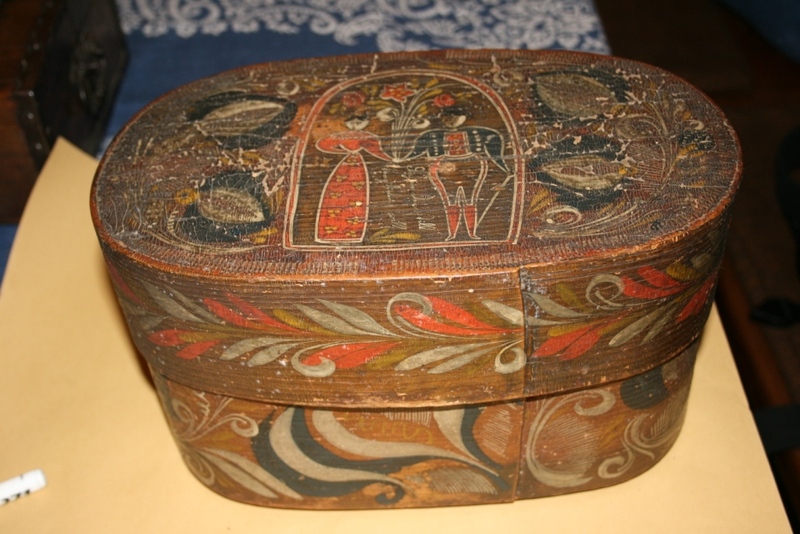 Such bridal boxes were first documented in the 16th century in the south of Germany. Our example displays show a farm couple with white contours, reaching out to one another. A bunch of flowers stretches out from the hands, also an allusion to the wedding bouquet. The scene is captured in an archway next to which foliage can be found, and the choice of black and white as a colour scheme. The outer edge of the lid was given a pattern using pens. Your order has been submitted. Thank you for your interest. Thank you for your message. We try to answer as fast as possible.